BrainReload is a brain supplement made solely to replenish the brain’s naturally depleted nutrients and help to maintain healthy brain function. It has a high concentration of brain-boosting ingredients. Today, there are a great number of people who are facing brain weakness problems. They are either suffering from memory lose or concentration problem. Anyone of any age group whether men or women can be affected by these problems. Thus we need some kind of brain booster supplement to help us overcome this tragedy. BrainReload enhances the functions of your brain. It also is very powerful for all age bracket people. You will notice real brain change once you take this BrainReload on daily basis. Your brain will perform faster than before. It also boosts your concentration in every work you do each day. 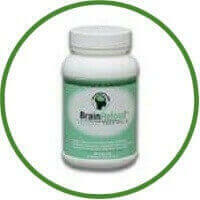 BrainReload consists of memory vitamins in it to enhance better brain health. 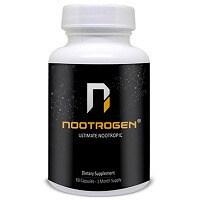 We have put together a synergistic formula to support brain function and help improve the synthesis and transmission of neurotransmitters that are necessary for memory, concentration and learning. We’ve basically developed a brain supplement vitamin to improve concentration, memory and learning. Serine: Serine is an essential brain nutrient involved in nerve transmitter release and synaptic activity that helps concentration, cognition and mental functions. DMAE: DMAE is a precursor to Choline which is a precursor to acetylcholine, the neurotransmitter that relays signals between cells for optimal brain function assisting in concentration and short-term memory. DLPA: DLPA is an essential nutrient that is naturally depleted. The regular replacement of this brain booster nutrient serves to improve mood and memory. It is a precursor to the neurotransmitters dopamine and nor epinephrine. ALCAR: ALCAR is another precursor to acetylcholine and an important amino acid that improves mitochondrial function to assist in memory and learning. BrainReload is unlike any other focus pills because four of our ingredients DLPA, DMAE, Choline, and ALCAR are precursors or building blocks that form neurotransmitters, while Phosphatidylserine aids in cell-to-cell communications between these neurotransmitters. We feel that keeping a healthy brain is often overlooked in a society obsessed with weight and outward appearance. We believe a healthy body begins with a healthy mind, and BrainReload brain supplements will help you achieve that goal. It’s quite expensive to buy. No detailed evidence on the mixture of the ingredients it used. Some ingredients might cause negative side effects. Brain Reload is an ultimate solution to support memory and concentration functions. It uses the best 5 ingredients without adding any artificial or natural stimulants. BrainReload contains mineral that causes you brain neurons to communicate faster. It naturally works for you.